In 1987, the world was given one of its most iconic video game characters, Rockman better known as Mega Man. His franchise has spanned decades and the little blue robot boy with a blaster has a loyal following of fans. 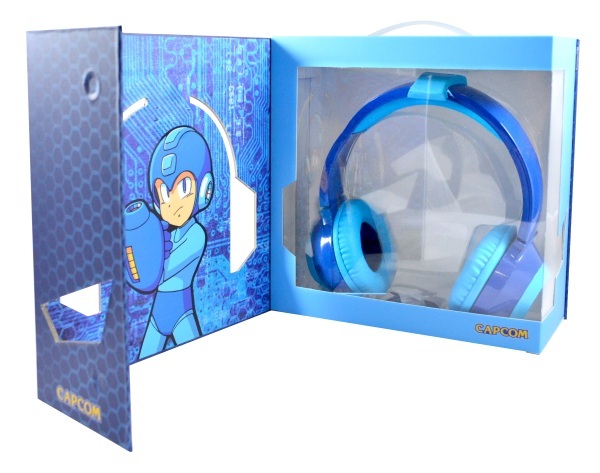 If you’re one of them, you can sport your love (and geek cred) with a pair of Mega Man HD LED Headphones. These headphones are officially licensed by CAPCOM. They are designed to mimic Mega Man’s iconic blue style with red accents. They’re full size headphones with total ear coverage, not earbuds. If you’re familiar with the character then you’ll notice they’re designed to give the illusion of wearing his helmet. If you are not familiar with the character, you need to go play all the games right now. It’s a lot so you’ll need to clear your schedule. These headphones are good for all your music listening needs. They come with your standard 3.5mm input so you can use them with a variety of devices. Put them on and blast some sound. 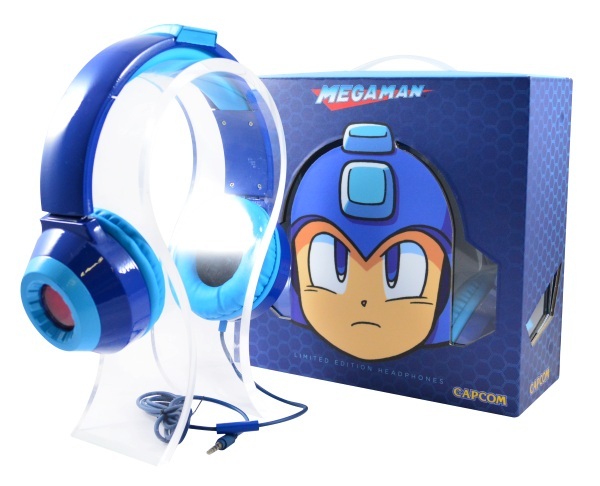 The Mega Man HD LED Headphones are $99.99.